Ex-Oasis singer Liam Gallagher famously rocked a Mod mullet when his band first hit the spotlight. Since then, the feathered hairdo and parka jacket became symbols of the band's swaggering style and a trademark for Liam. In the years of the worldwide success of Brit pop, thousands of enthusiast fans sported copycut hairdos all over the planet. But nothing ever stays the same. Let's take a look at Liam Gallagher's hairstyle evolution. Liam Gallagher's hairstyle changed slightly throughout nineties and noughties: longer and sleeker, shorter and rougher variations on the same theme until, in January 2014, he decided to shave off his shaggy locks revealing that, after all, the almost military look of his thinning hair suites him the best. An all British heritage influenced Liam's choice in hairstyle since the beginning of his career: his trademark haircuts, the shorty and choppy with large sideburns, and the longer, swept forward version come straight from the 1960s and The Beatles as much as Skinhead culture and the overall Mod revival of the 80s. 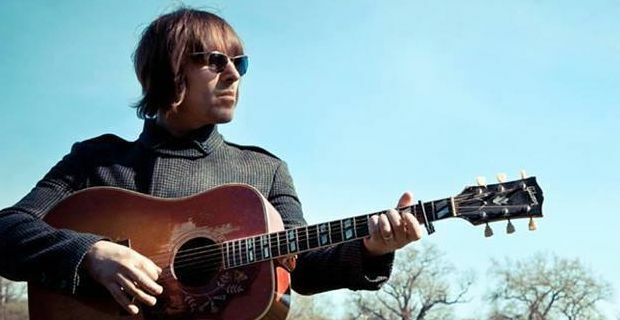 The temperamental singer/song writer who in 2009 founded the Beady Eye, famously brought down the end of Oasis by smashing his older brother's guitar, which caused arguments after arguments. In January 2014, after a difficult year which involved the split form long-time partner Nicole Appleton, Liam Gallagher surprised us all by showing up at the Australian Open with his head completely shaved off. Shaggy locks and iconic haircut were ditched for a very minimalistic look that, all in all, we totally love. But apparently someone spotted a fault. Shortly after Gallagher sported his new bold hairstyle in New York, the Wonderwall singer was approached by hair clinics experts, who apparently proposed him a free hair transplant to reinvigorate his thinning hair. Needless to say, the bad boy of Brit pop furiously rejected the offer.